The Silesian String Quartet was established in 1978. Its members are alumni of the Karol Szymanowski Academy of Music in Katowice. They honed their craft in master classes taught by members of the LaSalle, Amadeus, Juilliard, Smetana, and Alban Berg Quartets. The Silesian String Quartet’s repertoire comprises over 300 pieces from the chamber music “canon”, with around 200 of them being 20th-century works. It has premiered over 100 string quartets by Polish and foreign composers, with some of these works specifically dedicated to the Quartet. 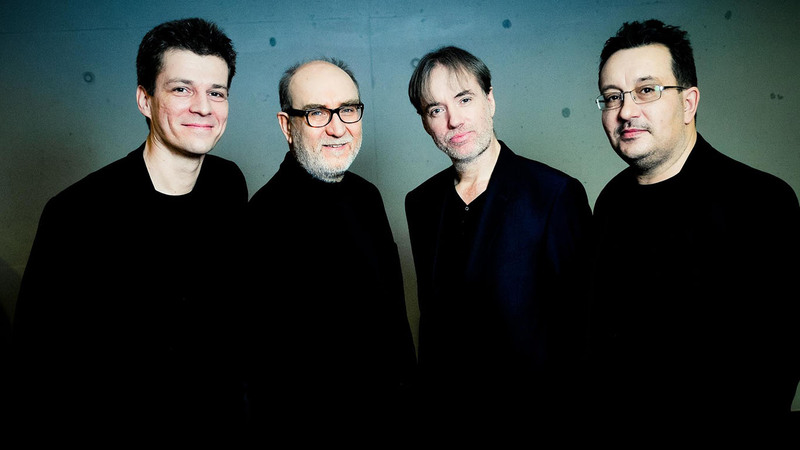 Throughout its 34-year career, the ensemble has performed at such music festivals as the Warsaw Autumn (twenty times, performing almost 50 pieces), the Poznań Music Spring, the Polish Contemporary Music Festival in Wrocław, the Krzysztof Penderecki Festival in Lusławice and Krakow, the Karol Szymanowski Music Days in Zakopane, the Kuhmo Chamber Music Festival in Finland, the Berliner Musiktage, the Time of Music in Viitasaari, the Inventionen Berlin, the Lerchenborg-Musicdage, the Musicorama in Hong Kong, the Saint-Denis Festival in Paris, the Melos-Etos Festival in Bratislava, the Wien Modern, the Romaeuropa Festival in Rome, the in Odense, the Musik-Biennale Berlin, the Krakow 2000, the Praha 2000, the Europalia in Belgium, the West Cork Chamber Music Festival in Ireland, the Tongyeong International Music Festival in South Korea, and many others. The Silesian String Quartet has given around 1,000 concerts in most European countries, as well as in the USA, Canada, Mexico, Japan, Hong Kong, South Korea, and China. It has performed with great success in such prestigious concert halls as the Concertgebouw and Ijsbreker in Amsterdam, Konzerthaus in Vienna, Vredenburg in Utrecht, Die Unie in Rotterdam, De Singel in Antwerp, the Royal Conservatory of Brussels, Schauspielhaus in Berlin, Tivoli in Copenhagen, Tonhalle in Dusseldorf, Salle Pleyel and Teatre Champs –Élysées in Paris, Jordan Hall in Boston, Hoam Art Hall in Seoul, Bellas Artes in Mexico City, and the Markin Hall and Carnegie Hall in New York.